The Week now has a “companion site” to its weekly magazine, which carries a round-up of news, comment and analysis, with the re-branding of the First Post, a news site already owned by the the magazine’s publisher, Dennis Publishing Ltd.
We provide a daily news service that is not unlike the stuff we used to do at the First Post but nuanced and massaged into the Week daily. The re-branded site, which launched yesterday (26 October), plans to publish around 25 stories a day and aims to provide readers of the weekly title a chance to “dip in during the week” to read their style of content and “original reporting”. This entry was posted in Magazines, Online Journalism and tagged Dennis Publishing, nigel horne, the first post, The Week, weekly magazine on October 27, 2011 by Sarah Marshall. Dennis Publishing has today launched a consumer technology site www.expertreviews.co.uk to capitalise on the ever increasing number of buyers of technology who research, spec, compare and buy products online. The launch is supported by Toshiba, which is using the site to market its latest laptop – the five-star-rated Satellite T130. This entry was posted in Editors' pick, Handy tools and technology, Online Journalism and tagged consumer technology, Dennis Publishing, expertreviews on February 11, 2010 by Judith Townend. Another publisher signing up to the to-pay-or-not-to-pay iPhone debate: Dennis Publishing is planning to launch an iPhone app for its e-magazine Monkey. The app will cost £1.79 and, if successful, could spawn similar applications for Android and Blackberry devices, according to NMA. This entry was posted in Editors' pick, Mobile and tagged Dennis Publishing, iPhone, Monkey on October 9, 2009 by Laura Oliver. FIPP 09: E-readers and digital editions: what’s the future for magazines online? Yesterday, the first panel at the 37th FIPP World Magazine Congress, which looked at the economic situation for the magazine market, had acknowledged e-readers as significant, but not as a direct threat and a show of hands from the audience indicated their limited uptake. In fact, despite gloomy advertising revenue predictions, time was devoted to preserving and celebrating print, and pointing out that magazines did not necessarily face the same catastrophic fate as their newspaper counterparts. Much was made of the ‘feel’ of the printed product by several of the speakers, for instance. But magazines are investing in digital editions – so what do they look like? In yesterday’s session entitled ‘Digital Editions: Opportunity or Blind Alley?’ President (Europe and Latin America) of Zinio Global, Joan Solà, emphasised the importance of structural change, ‘a major change, moving from analogue into digital’: “If the publishing industry adopts the right measures to make structural change to industry, it will avoid getting caught in the middle of the ropes,” he said. We ‘move to a new scheme in which content can be delivered in new forms,’ Solà said. Publishers should cater for this ‘dipping audience’, whilst also providing a ‘feast’ for those who want it, he said. Managing director at Menzies Digital, Sarah Clegg outlined her vision for the digital product, in her case, as she has told Journalism.co.uk in the past – includes digital editions of 140 magazine titles, with a look to e-paper developments for the future. “Slowly the tide is turning,” she began. “In a lot of cases we [the digital product] are still the outcast,” she said. But, she emphasised, ‘the media landscape has changed, and it’s changing at the rights of knots’. ‘How are you tapping into that child of today – who is reading electronic media?’ she asked, using as an example her 13 year old niece, who picks up a range of digital tools on a daily basis. “We know consumer habits are changing, people are choosing when they want to consume and when they want to consume. Everybody is after their instant fix,” she said. “These aren’t questions anymore: there’s a market to take advantage of,” she added. “They present an opportunity, along with economic necessity. We must find a place in the digital publishing model – I don’t think we’ve had our day,” she said. Clegg wants to see lower prices for the digital product and more cooperation from publishers. She was aggrieved she said, to discover that having negotiated a 25 per cent discount for digital subscriptions, the publisher had offered a 60 per cent reduction on the print edition. Another annoyance is that on one of their publications, it takes eight clicks to get through to digital edition, she said. “Publishers should adapt and cater for the consumer – it [the digital edition] is not for everyone but it’s for someone,” she said. “I think we’re heading towards a golden era for publishing,” she added, optimistically. The entire Gramophone magazine archive launched online – from 1923 to today. 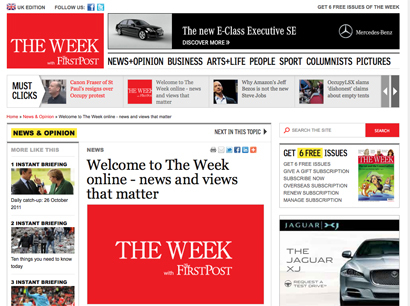 PR Week is to soon launch a subscriber-only online edition. Autosport launched a tiny flash page turner, which received ten per cent of the site’s traffic during the weeks that it ran. “I no longer have colleagues around talking about web 2.0 – it has become the web,” Payton said. This entry was posted in Events, Magazines and tagged Autosport, Congress, Dennis Publishing, digital editorial director, digital tools, director for digital publishing, e-paper, e-readers, electronic media, Europe, fipp2009, gloomy advertising revenue predictions, Haymarket Consumer Media, Joan Solà, Journalism.co.uk, Kevin Madden, Latin America, managing director, Mark Payton, Menzies Digital, online edition, pr week, President, printing, Sarah Clegg, United States on May 6, 2009 by Judith Townend. Felix Dennis, the man behind Dennis Publishing and magazines Stuff and The Week, is planning to launch an Australian edition of The Week in October. Future plans also involve editions for India and Canada. “I don’t care if I’m investing in a so-called sunset industry. The sun is setting very, very slowly. And there are only two types of businesses: the well run and the badly run. The well run will survive a recession,” he said. This entry was posted in Editors' pick, Magazines and tagged Australia, Canada, Dennis Publishing, Felix Dennis, India, International, Publishing, Stuff, Telegraph.co.uk, The Week on July 23, 2008 by Laura Oliver. 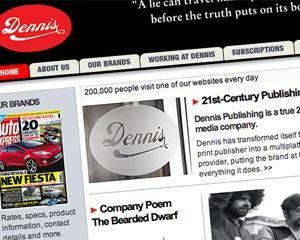 Dennis Publishing is to launch a mobile TV version of its free online-only weekly men’s magazine Monkey. The service will be available to customers of UK mobile networks. It can be downloaded by texting the keyword Monkey to 63333. This entry was posted in Mobile and tagged Andrew Nicholls, Dennis Publishing, digital magazine, Digital video, Monkey, Online mag, Online mag Monkey, partnerships and mobile manager, TV Dennis Publishing, United Kingdom on March 13, 2008 by Oliver Luft. Dennis Publishing is to launch a new digital-only title, which will combine online, broadcast and print formats in an email sent to readers. 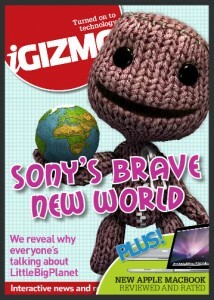 Gizmo, a free fortnightly publication scheduled for launch on March 11, will cover the consumer technology industry and focus on ‘immediacy, interactivity and innovation’, Bruce Sandell, head of new product development at Dennis, said in a release. The new title will feature video and text-based editorial and product reviews using the same technology as sister title Monkey, which was launched in the same format in 2006. This entry was posted in Magazines, Multimedia and tagged Bruce Sandell, consumer technology industry, Dennis, Dennis Publishing, head, head of new product development, Journalism.co.uk, Publishing, same technology on February 12, 2008 by Oliver Luft.